S. Rompis, F. Habtemichael, and M. Cetin, “A Methodology for Calibrating Microscopic Simulation for Modeling Traffic Flow under Incidents” 17th International IEEE Conference on Intelligent Transportation Systems, Qingdao, China, October 8-11, 2014. I. Ustun, A. Alasaadi, T. Nadeem, M. Cetin, “Detecting Vehicle Stops from Smartphone Accelerometer Data”, Presented at the 21st ITS World Congress, Detroit, MI, Sept 7-11, 2014. A. Alghamdi, T. Nadeem, M. Cetin, “BlueEye: A Bluetooth-Based Vehicle Location Identification System for Queue Length Estimation at Signalized Intersections”, Presented at the 21st ITS World Congress, Detroit, MI, Sept 7-11, 2014. 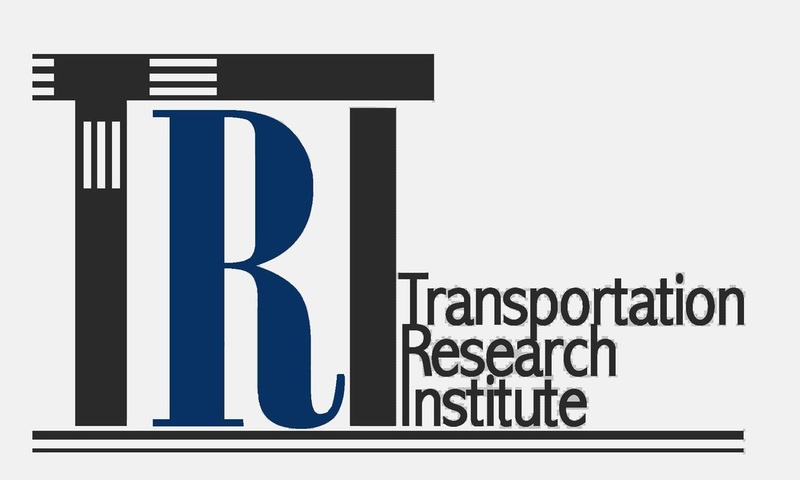 M. Cetin, A. P. Nichols, C. Chou “Re-Identification of Trucks Based on Axle Spacing Measurements to Facilitate Analysis of WIM Accuracy” The 93rd Annual meeting of the Transportation Research Board, Washington, D.C., January 12-16, 2014. M. Cetin and H. Rakha “Estimating Fuel Consumption at Signalized Intersections from Probe Vehicle Trajectories” The 93rd Annual meeting of the Transportation Research Board, Washington, D.C., January 12-16, 2014. O. Unal and M. Cetin “Estimating Queue Dynamics and Delays at Signalized Intersections from Probe Vehicle Data” The 93rd Annual meeting of the Transportation Research Board, Washington, D.C., January 12-16, 2014. C.A. Jordan, M. Cetin, and R.M. Robinson, “Clearing Paths For Emergency Vehicles Using Vehicle-to-vehicle Communication” The 92nd Annual meeting of the Transportation Research Board, Washington, D.C., January 13-17, 2013. 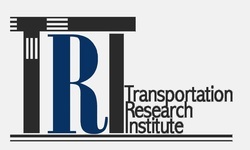 P. Foytik, M. Cetin, and, M. Robinson, “Calibration of BPR Function Based on Link Counts and its Sensitivity to Varying Demand” The 92nd Annual meeting of the Transportation Research Board, Washington, D.C., January 13-17, 2013. C.S. Chou, A.P. Nichols, S. Yoo, and M. Cetin “Methodology to Estimate Percent of Overweight Trucks without Proper Permits” The 92nd Annual meeting of the Transportation Research Board, Washington, D.C., January 13-17, 2013. M. Cetin and C. A. Jordan, “Making Way for Emergency Vehicles at Oversaturated Signals under Vehicle-to-Vehicle Communications” 2012 IEEE International Conference on Vehicular Electronics and Safety (ICVES’12), Istanbul, Turkey, July 24-27, 2012. M. Cetin “Estimating Queue Dynamics at Signalized Intersections from Probe Vehicle Data: A Methodology Based on Kinematic Wave Model” The 91th Annual meeting of the Transportation Research Board, Washington, D.C., January 22-26, 2012. M. Cetin and T. Rashid, “Comparing the Performance of Neural Networks and Bayesian Models in Solving the Vehicle Re-Identification Problem” The 91th Annual meeting of the Transportation Research Board, Washington, D.C., January 22-26, 2012. M. Cetin, P. Foytik, S. Son, A.J. Khattak, M. Robinson, and J. Lee “Calibration of Volume-Delay Functions for Traffic Assignment in Travel Demand Models” The 91th Annual meeting of the Transportation Research Board, Washington, D.C., January 22-26, 2012. S. Son, M. Cetin, and A.J. Khattak, “Exploring Transition of Traffic Conditions in Aggregated Sensor Data” The 91th Annual meeting of the Transportation Research Board, Washington, D.C., January 22-26, 2012. C. Jordan, P. Foytik, and M. Cetin “Investigating the Benefits of Vehicle-to-Vehicle Communications in Emergency Response: A Conceptual Methodology” The 91th Annual meeting of the Transportation Research Board, Washington, D.C., January 22-26, 2012. M. Cetin, C. M. Monsere, and A.P. Nichols, “Bayesian Models for Re-identification of Trucks over Long Distances Based on Axle Measurement Data,” The 89th Annual meeting of the Transportation Research Board, Washington, D.C., January 10-14, 2010. H. Zhang, M. Cetin, and A.J. Khattak, “Evaluating Factors that Impact Queuing Delays of Secondary Incidents” ,” The 89th Annual Meeting of the Transportation Research Board, Washington, D.C., January 10-14, 2010. M. Abuelela, S. Olariu, M. Cetin, and D. Rawat “Enhancing Automatic Incident Detection Using Vehicular Communications” The 70th IEEE Vehicular Technology Conference, Anchorage, Alaska, September 20 – 23, 2009. M. Cetin and A.P. Nichols, “Improving the Accuracy of Vehicle Reidentification Algorithms by Solving the Assignment Problem,” The 88th Annual meeting of the Transportation Research Board, Washington, D.C., January 11-15, 2009. G. Comert, M. Cetin, A. P. Nichols " Incorporating Queue Length Measurements into Actuated Signal Control: Evaluation of Efficiency Benefits at an Intersection," The 88th Annual meeting of the Transportation Research Board, Washington, D.C., January 11-15, 2009. M. Cetin and G. Comert, “Flow Rate Estimation from Probe Vehicle Data and Sample Size Requirements,” 15th World Congress on Intelligent Transportation Systems, New York NY, Nov 16-20, 2008. J. Holguín-Veras and M. Cetin, “Optimal Tolls for Multiple User Classes,” European Transport Conference, Netherlands, October 6-8, 2008.